Rest in peace, Aukuso Fuiavailili Fe’esago! 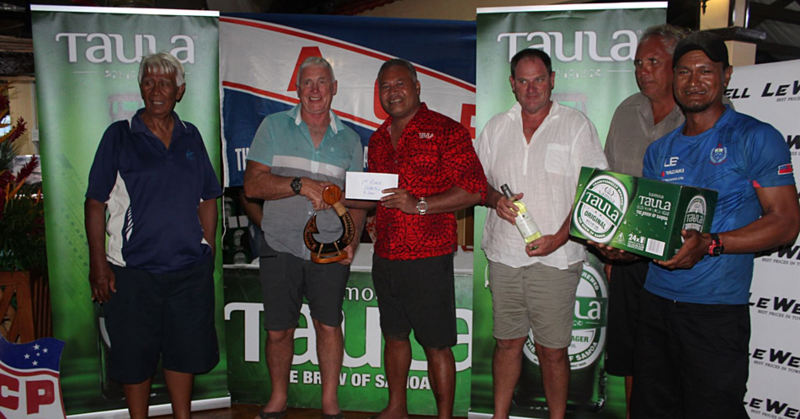 The life of the owner of Cece’s Bingo, Augustine Fuiavailili Fe’esago, who is one of the biggest contributors to the Samoa Observer’s Save the Child Fund, was celebrated yesterday evening at Si’usega. Families, friends and all those who knew the lovable father, grandfather and businessman gathered there to pay tribute to his life and work during his final service at the Catholic Church. Father Fereti Tautunu conducted the service. 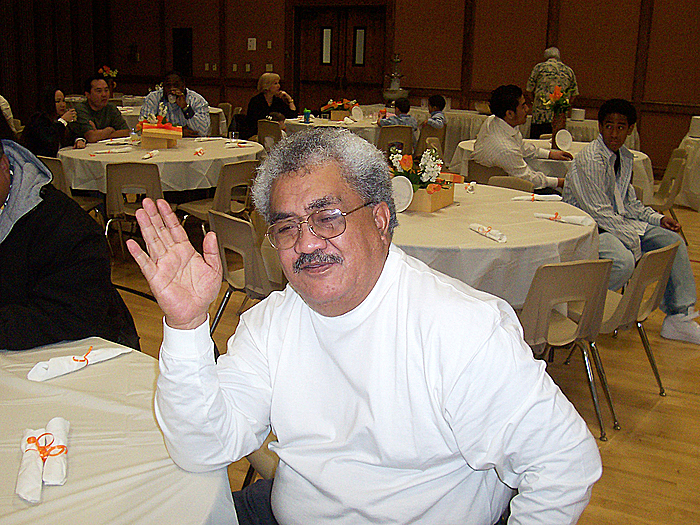 Born on 10 September 1947 in Tula American Samoa, Mr. Fe’esago passed away last week. He was 69. Augustine’s older brother Ulī Feesago paid tribute to a hard working man who loved his family. Ulī said his brother spent a large part of his life in the United States where he developed real knack for hard work and to help people. But Mr. Feesago was not just a man with a good heart. He was also an astute businessman. He established Cece’s Bingo in Samoa in 1994. The company has grown to play a major role in church fundraising activities over the years. He also owns fashion stores like Big n Small of Samoa as well as Charter Service in Los Angeles which provides tours for tourists between the states, especially to Las Vegas. Mr. Feesago was married to Margean who remembered him as someone who was passionate about helping people. During her eulogy, she said their journey was not always a smooth one. “My relationship with Aukuso was no smooth ride,” she said. “But we tried our best to develop our family. “When I married Aukuso, I had no idea about any fa’asamoa because I was living in the States and so I didn’t really learn any fa’asamoa. “So when I married him and we went to his family, I saw that his family was a hundred percent Samoan style. I was worried because I didn’t know how I was going to cope. Mrs. Fe’esago also recalled the time when they moved to Samoa in 1994. 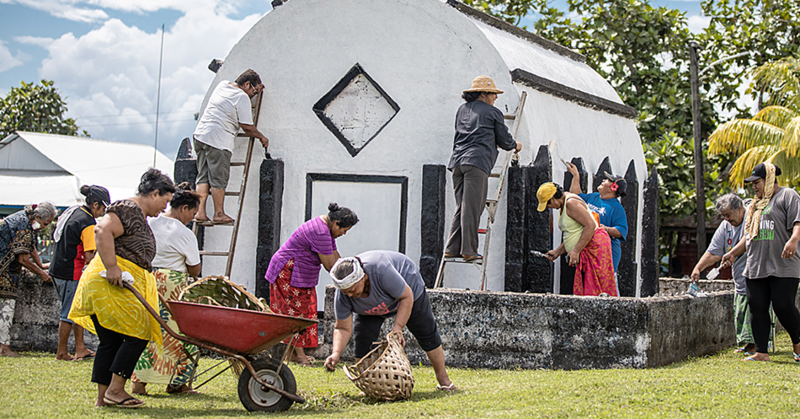 “In 1994, we moved Samoa because when Aukuso came here to visit he came back and told me that there were no bingo papers here in Samoa,” she said. 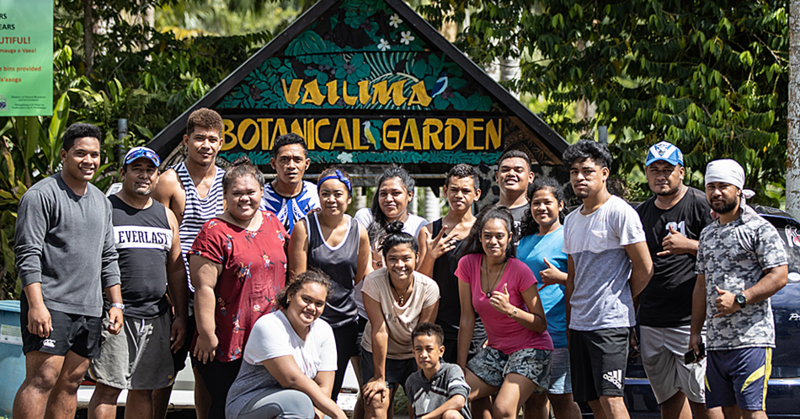 “We didn’t have any plans about moving to Samoa until he came back after his visit and told me that he wanted to come here. It was difficult during those times. “My husband would sleep on those bingo papers, my children were being teased and people called them “bonanza” but it didn’t bother us because we were working so hard to get to where we are right now. Margean acknowledged many people who have helped their family over the years. Augustine is the 3rd child of the late Uliefu Savaiinaea Iosefo and the late Siapotaga’i Feesago’s five children. His siblings are Ioana Renfro (sister), Ulī Feesago Jr (brother), Iosefo Feesago (brother) Palepa Ili (sister-deceased) and Sisilia Feesago (sister). He married Margean Petersen in 1977 in California, U.S.A and they have nine children, seven biological children and two adopted.